In my quest to get my trouser pattern just right for jeans it has just dawned on me that I’ll need to make a button fly front. Surely it’s easier than a zip fly…? Hm. …And looked at my jeans. They had the raw edges overlocked and on show, I drafted my extensions with 1cm (right) and 1.5cm (left) allowances for tucking in. I’ll probably make them out of a lighter weight contrast than the denim so the extra thickness shouldn’t be a problem. 3 sections for the left extension & 2 sections for the right. 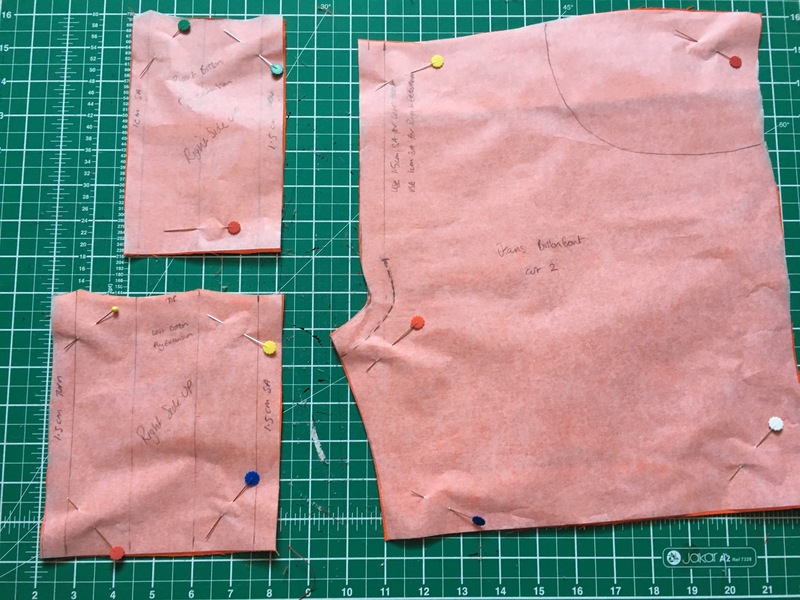 I marked 1.5cm seam allowance from the centre front of my existing pattern and cut a new edge to the old zip stop mark, keeping the crotch curve. Next, I marked my crotch seam sewing line and the zip stop mark. I did this on the outside by mistake, but it will wash off. Next time I’ll just mark the inside! Also, I’ll add 1cm to the bottom of both extensions for a hem. I managed to squeeze in about 1/2cm on this after the event. These notes are mainly so that I can remember how to do it. If anyone finds them helpful then there’s a bonus. And let me know if there’s an easier way! 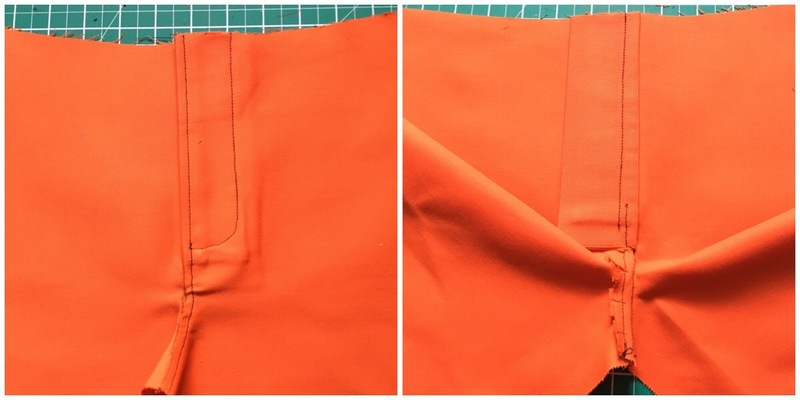 sew left extension to left front, right sides facing, using a 1.5cm seam allowance. Press the seams away from the fly. 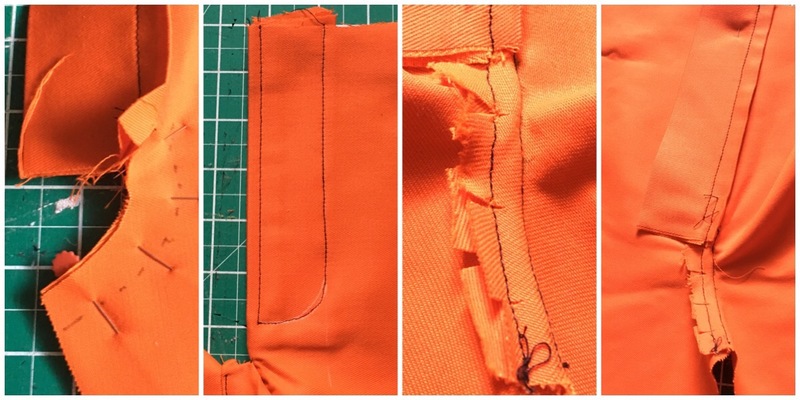 Press the extension back & topstitch 0.5cm From edge, starting 1cm after the zip stop mark. 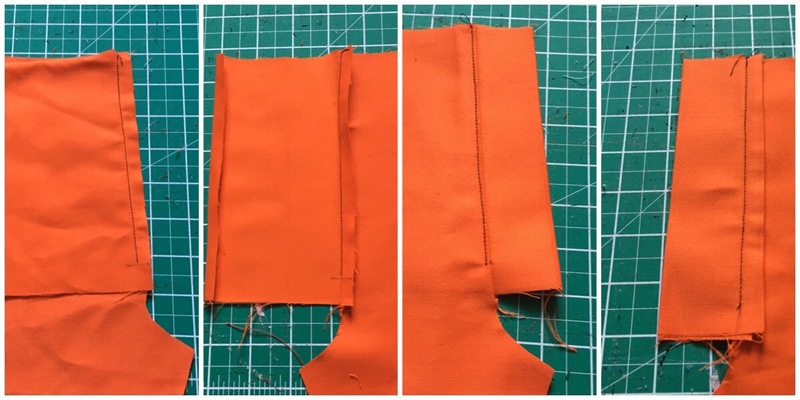 Sew right extension to right front, right sides facing, using 1cm seam allowance. Stop at the zip stop mark. Press the seams away from centre front & press 1cm in on edge of extension. (This is where I’d turn up the 1cm hem at the bottom). 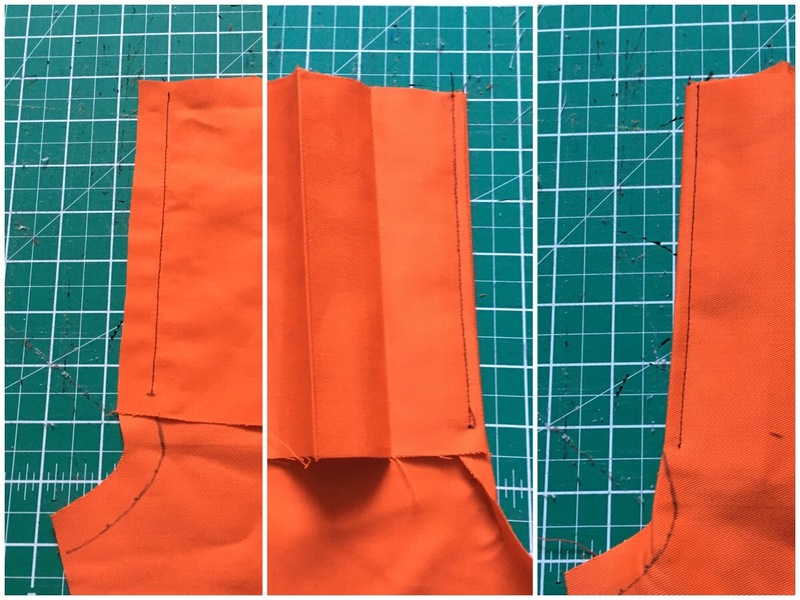 Fold the extension over, tuck the seam allowance in & press flat. Topstitch from the right side from zip stop mark to top. Close to edge but making sure to enclose seams. Keeping everything out of the way, sew the crotch seam, right sides together, using 1.5cm seam allowance. 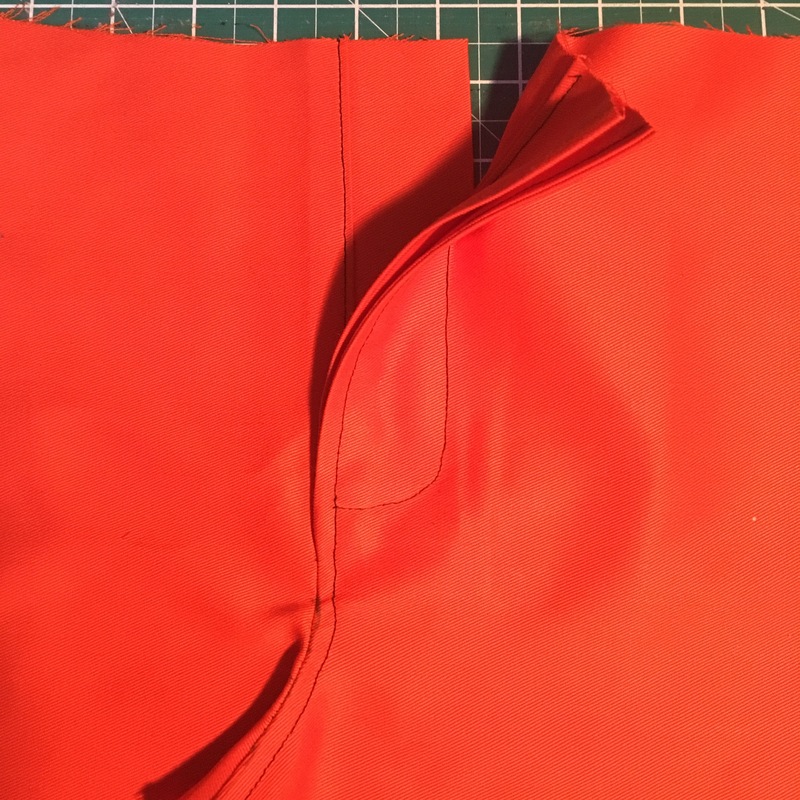 Clip seam allowance on crotch seam (I like to stagger my clips, I’ve decided it keeps the seam stronger…?). Then with the right extension positioned behind the left, match the centre fronts & pin in place. Make sure it’s all sitting neatly where it should. Top stitch from the right side, 0.5cm from the seam. Sewing the seam allowance down, meeting up with the left front top stitching and catching the right front extension. I’d love to hear from you if you have any helpful comments or suggestions!